Developed by the studio behind Lost Dimension. 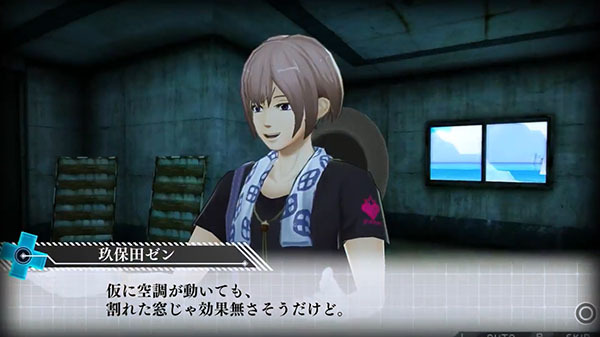 Zanki Zero, Spike Chunsoft’s upcoming dungeon RPG from its Danganronpa staff, will launch for PlayStation 4 and PS Vita this summer in Japan, the latest issue of Weekly Famitsu reveals. Development is being handled by Lancarse, the same studio that developed the strategy RPG Lost Dimension. 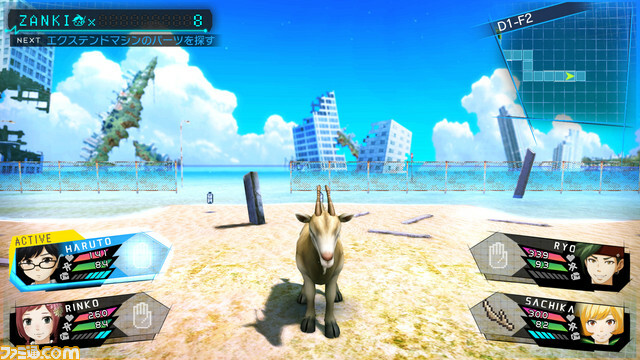 Zanki Zero is a survival game set on Gareki Island. At the start, the only facility at the player’s base necessary for daily life is the water supply station. In order to prolong the lives of the main characters, players will develop their bases with various facilities and raise their levels. The characters will grow old and die in a span of only 13 days, and their appearance will change from child to adolescent, to mature, to old. Various other characters will support the main characters, which include a cast voiced by Masako Nozawa, Ryuusei Nakao, Mitsuki Saiga, Aina Suzuki, Toshihiko Seki, Ayana Taketatsu, Rika Tachibana, Toshiyuki Toyonaga, Hiroaki Hirata, Masaya Matsukaze, and Haruka Yoshimura. When a character’s HP becomes zero, they will die. If surviving members do not follow the proper procedures, they will not be able to revive them. Through the “Extend Machine” system, you can use “score” to create a clone of a character that died. You can also play mini-games. Gareki Island has a television broadcast called “Extend TV,” which will guide the main characters. Dungeons are ruins that players explore through real-time progression, where items can be collected and enemies fought. You can also take on missions assigned on Extend TV. The battle system has a high nature of action. It keeps the feeling of exhilaration and accomplishment while using simple controls that incorporate movement and attacks, that even users who are not good at action games can enjoy. The main characters are closer to ordinary people, rather than Danganronpa-like characters with special talents. Danganronpa staff are involved in the game’s development, and the voice actors of the characters that appear in the game will meet the expectations of the fans. Extend TV is fully voiced. The revival of dead characters is not an easy to use system. Skills and levels are handed down from previous clones. There is also a system where you become stronger the more you die. There are advantages and disadvantages to aging. For example, you can attack many times as a child, while it is easier to unleash charge attacks as an old person. The story does not have a time limit. Dungeons are being prepared for the number of main characters that appear, and the atmospheres of the dungeons take after their traumas that are the seven deadly sins. Dungeons have fixed structures (in other words, they are not procedurally generated), but items drop at random places. As a character grows, battles will gradually become more difficult, but non-combat deaths such as dying as a result of hunger-induced low stamina will increase.